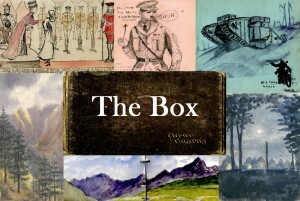 Kabosh presents The Box, a new play by Carlo Gébler, which brings to life the archive of Olive Swanzy, a nurse from Newry who served during WW1. During her time serving in the war Olive kept a series of autograph books which the soldiers in her care contributed to with drawings, sketches, cartoons, stories and poems describing their experiences of and feelings about the war. Along with these contributions Olive also kept a record of her own experiences through a wealth of beautiful watercolours which document her time at war and her love of her native Newry. Together they form an incredible picture of real people during extraordinary times. This fascinating archive was left undisturbed in an attic in Olive’s former home in Rostrevor for decades until it was recently rescued from being destroyed and it’s worth and relevance realised. Kabosh, in partnership with Creative Centenaries, will bring this incredible archive and its stories to life in a multi-artform theatre production. 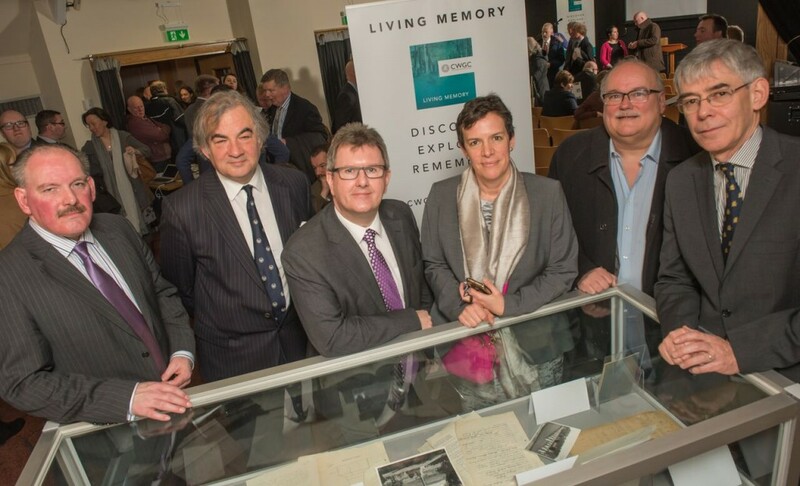 Taking place at the Ulster Museum every Saturday and Sunday, 12pm and 3pm, from June 5th to 19th 2016 this will coincide with original items from the archive being on display as part of the Creative Centenaries exhibition running from June 3rd to September 18th. The Box is written by Carlo Gébler, directed by Paula McFetridge, designed by Elle Kent and features local actors; Gerard Jordan and the award winning Abigail McGibbon. Unique event creating a Sea of Lights to remember those from North Belfast who died in the First World War. 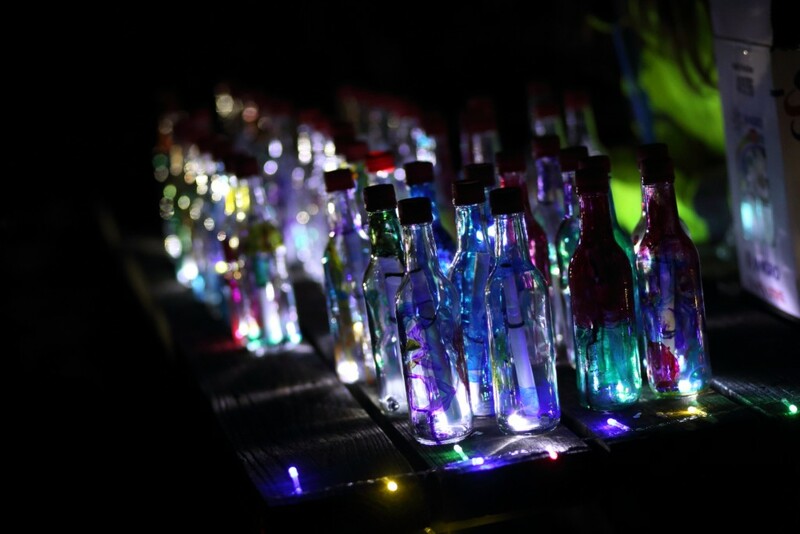 On Saturday 19th March, participants of North Belfast Remembers set sail glass bottles with LED lights and details of individual men and women from North Belfast who served in the First World War. Adults and children across North Belfast took part in workshops to tell the stories of First World War servicemen from their areas. The adults have researched a serviceman and written a letter to a local child about his life. Each child received a letter and designed their glass bottle to represent his story. This memorial event was the culmination of the project when the participants released their letters in painted glass bottles into the water at the Titanic Pump House near HMS Caroline. Members of the public were invited to bring their ancestor’s story and write a message for a bottle which was provided on site and was thrown into Alexandra Dock. The sea of lights was a poignant reminder of those who died in the First World War. Adult groups taking part were: The Hubb Community Resource Centre on the Shore Road, Survivors of Trauma Centre from Cliftonville, Alexandra Presbyterian Church on the York Road, Dalariada Community Organisation, ACT North Belfast and Brantwood History Group from Skegoneill Avenue. Children’s groups taking part were the Hammer Youth Centre and Clonard Youth, the Church of God Boys Brigade on the Shankill, The Hubb Community Resource Centre on the Shore Road and Ardoyne Youth Club. This project has been funded by Belfast City Council and Community Relations Council. 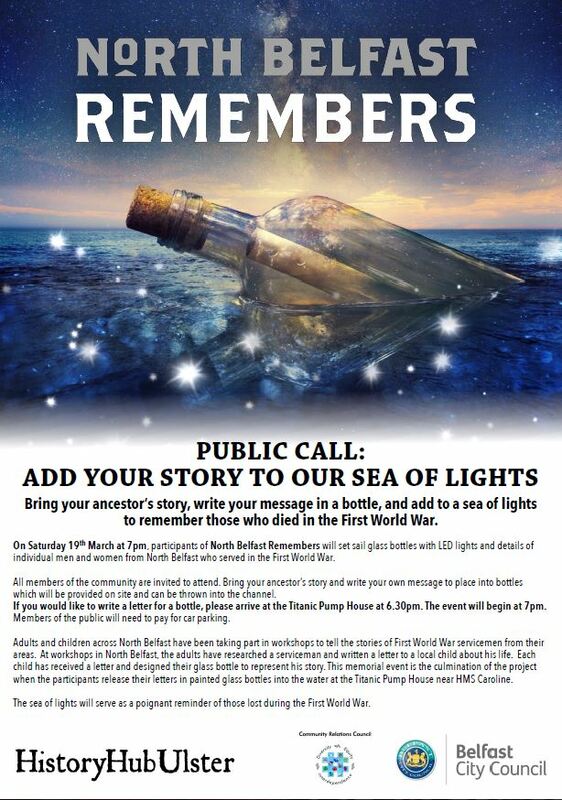 Bring your ancestor’s story, write your message in a bottle, and add to a sea of lights to remember those who died in the First World War. On Saturday 19th March at 7pm, participants of North Belfast Remembers will set sail glass bottles with LED lights and details of individual men and women from North Belfast who served in the First World War. All members of the community are invited to attend. Bring your ancestor’s story and write your own message to place into bottles which will be provided on site and can be thrown into the channel. If you would like to write a letter for a bottle, please arrive at the Titanic Pump House at 6.30pm. The event will begin at 7pm. Members of the public will need to pay for car parking. Adults and children across North Belfast have been taking part in workshops to tell the stories of First World War servicemen from their areas. At workshops in North Belfast, the adults have researched a serviceman and written a letter to a local child about his life. Each child has received a letter and designed their glass bottle to represent his story. This memorial event is the culmination of the project when the participants release their letters in painted glass bottles into the water at the Titanic Pump House near HMS Caroline. 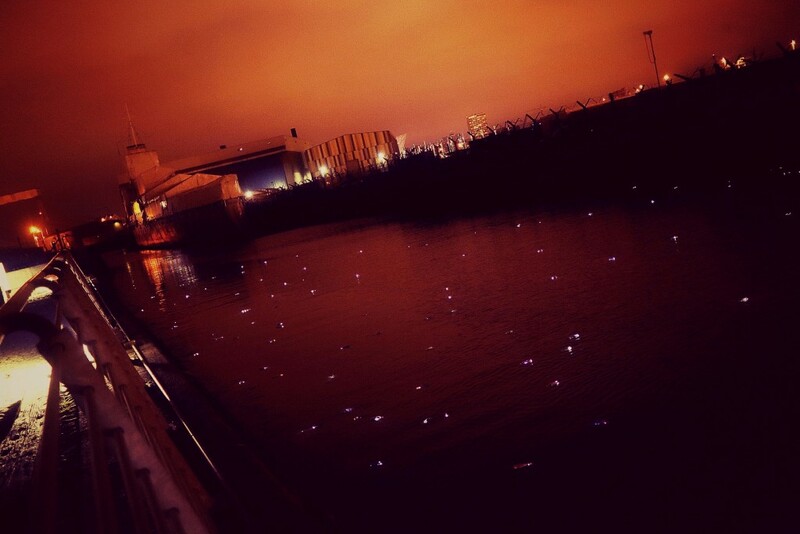 The sea of lights will serve as a poignant reminder of those lost during the First World War. The Commonwealth War Graves Commission (CWGC), supported by the World War One Centenary Committee in Northern Ireland, have announced details of Living Memory – a project to highlight and engage communities in Northern Ireland with the 2,700 war graves of the two world wars to be found there in 400 cemeteries and burial grounds. The Living Memory Project is designed to raise awareness of the 300,000 war graves and commemorations in the UK. In 2016, the CWGC, in partnership with Big Ideas Company, are asking the public to re-connect with the war dead buried in their own communities. CWGC wants the public to visit these sites, take a personal interest in those buried there, organise a commemoration of their own and ultimately, champion these places – tell their friends or other local community groups that these war graves must not be forgotten. Funding and a creative resource pack will be available from March 2016 for community groups in Northern Ireland wishing to participate in this initiative. Mr Colin Kerr, CWGC Director of External Relations, explained: “Living Memory is about discovering, exploring and remembering those war graves to be found in cemeteries, churchyards and burial grounds here at home. “When people hear about the First World War, they think of the large, set-piece battles on the Western Front, and the cemeteries and memorials there that the CWGC maintains. But there are war graves and memorials literally on your doorstep – many lie in forgotten corners of graveyards. 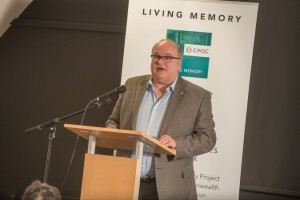 The CWGCs Living Memory initiative aids their rediscovery and remembrance. To support the initiative, the CWGC is bringing a number of its unique archive documents to Northern Ireland for the very first time. The documents include details of how the CWGC commemorated a female typist, Sarah Hale, who died in the sinking of the SS Lusitania in 1915 and correspondence between CWGC Founder Fabian Ware and Belfast City Hall over the care of war graves. The interactive map will provide an innovative way of charting the impact of the Battle of Jutland. It will convey the ‘human’ story of the battle, highlighting its scale and significance to the First World War, by demonstrating the involvement of people from all over the British Isles and further afield. The project launched with over 6,000 entries from across Britain, already showing the national impact of The Battle of Jutland. To provide a comprehensive record the Museum is calling on members of the public to share more information. The Battle of Jutland was the defining naval battle of the First World War, fought over 36 hours from May 31st to June 1st 1916. It is often considered a German victory due to the number of British lives lost; the British lost 6,094 seamen and the Germans 2,551 during the battle. However these figures do not represent the impact upon the British and German fleets. At the end of the battle the British maintained numerical supremacy; only two dreadnoughts were damaged, leaving twenty-three dreadnoughts and four battlecruisers still able to fight, whilst the Germans had only ten dreadnoughts. of those involved, where they served and where they came from. Memories of sailors can be shared within the messages section and icons with categories including sailors, memorials, places and schools provide key information through an immersive browsing experience. 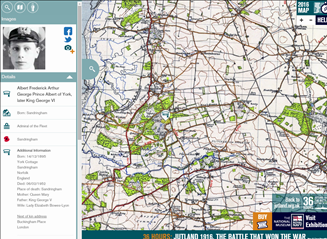 The map offers layers of information, integrating a historical overlay provided by the Scottish Archive, to show the country as it was in 1916. Public response via a social media campaign has already been strong and contributed to the 6,000 entries already documented. Entries have also been assembled in collaboration with Trevor Penfold at the Imperial War Museum, and further research has been compiled by a team of 12 volunteers at the National Museum of the Royal Navy and Portsmouth Grammar School, and Karen O’Rawe of History Hub Ulster. Portsdown U3A has kindly granted access to their research project, in conjunction with a team from Portsmouth University and funded by the Heritage Lottery Fund. The NMRN will also partner with The Royal Hospital School, Marine Archaeologist Anthony Firth and Nick Jellicoe, the grandson of Admiral Sir John Jellicoe, 1st Earl of Jellicoe. 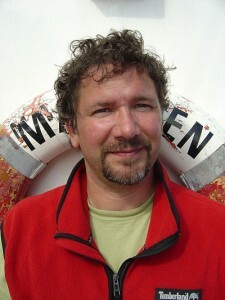 Dr Innes McCartney is a nautical archaeologist, explorer, historian and author. Over the last 25 years he has specialised in the discovery of and investigation into twentieth century shipwrecks including the wrecks of the Battle of Jutland and many British and German submarines. He has appeared regularly on documentaries such as Time Team Special and is a popular speaker at conferences. The talk will give an overview of the Battle of Jutland and then reveal how the 25 ships sunk have been discovered in recent years and what they tell us. The shipwrecks offer an entirely new way of looking at the battle. Not only are they the extant memorials to the 8,500 sailors who died, they are also remarkable untapped archaeological resources. This is no truer than when looking that remains of the ships which sunk with few witnesses, or behind walls of smoke. In those cases the wrecks offer much new information about the battle which was previously unknown. This talk will show how investigations of the wrecks are changing historical perspectives on the battle. Did a member of your family serve in the First World War? Were any from East Belfast? 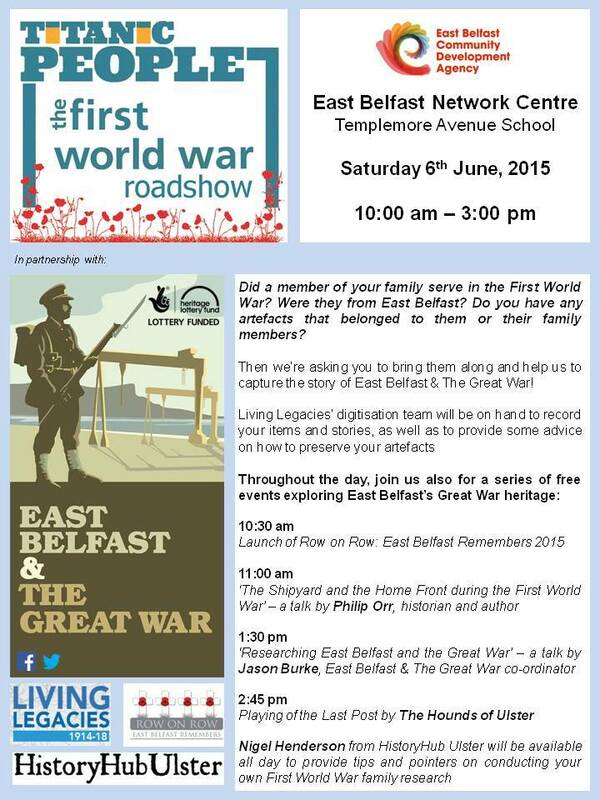 Bring along your artefacts and stories to the Titanic People First World War Roadshow in East Belfast Network Centre on Saturday 6 June 2015, from 10am – 3pm. 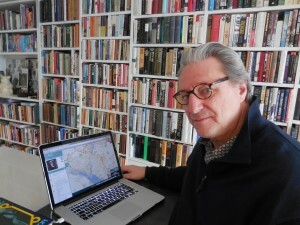 History Hub Ulster member Nigel Henderson will be available all day to provide tips and pointers on conducting your own First World War family research. EXPLORE life in Ireland a century ago, CONTRIBUTE to a crowdsourced history project, LEARN about how a digital archive is created, DISCOVER hidden stories of 1916. 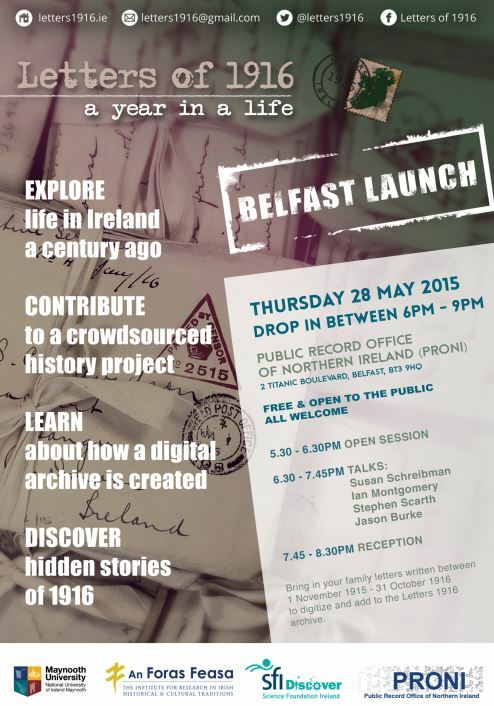 5.30pm – 6.30pm Open Session – Letters 1916 – Meet the team demo, transcribe, digitise. The Gallipoli campaign resulted in the deaths of over 100,000 Allied and Turkish servicemen in just eight months. Serving both at sea and on land, the Royal Navy and Royal Naval Division lost many men in what was to become an unmitigated military disaster of poor planning that resulted in the loss of more than 44,000 Allied lives. In contrast, the defence of Gallipoli was the Ottoman Empire’s most successful military operation of the war. One example of the local losses during the Gallipoli campaign is the loss of HMS Goliath on 13 May 1915. In total 73 men from Ireland were lost on this ship. In 1911, Coonagh, a small village in Limerick was recorded as having only 48 households of 202 people. Of these 98 were male and only 48 men were between the ages of 18 and 49 in the village. Of these men, 8 died on HMS Goliath. Seven of these men were fishermen like their fathers, the other an agricultural labourer. The impact of this loss is still felt today as Mick Cronin from Coonagh is currently fundraising for a memorial to these lost men. The ages of the men lost on the ship ranged from 17 to 55 years old, the average age being over 30. Despite the myth that World War One was a ‘young man’s war’, there were many very experienced seamen who died at sea. This includes Armourer Michael Meyler from Wexford who was 55 years old when he died, and noted as a pensioner, and Petty Officer James John Beauchamp who was 48 when he died. Following in his coastguard father’s footsteps, James was a coastguard in Castleblaney. The youngest Irishman to die on Goliath was Boy (1st Class) Philip Duffy, a Monaghan lad. His service record notes his full enlistment on 23 August 1915, however he never made it to that date and his death date precedes his enlistment date. The 73 Irish casualties who died during the sinking of HMS Goliath were from the following areas: 16 from Cork, 9 from Waterford, 9 from Belfast, 8 each from Dublin and Limerick, 6 from Wexford, 3 from Derry, 2 each from Monaghan, Down and Carlow, 1 from Antrim, Donegal, Wicklow, Kerry, Tipperary, Meath, Sligo and Louth. Another Irishman, Signaller Frederick Parnell Waterson was severely wounded in action on HMS Goliath on 3 May 1915 during operations in the Dardanelles, died on 1 June 1915 of pneumonia. Previously a plumber, Frederick is buried at the Royal Naval Cemetery in Capuccini, Malta. 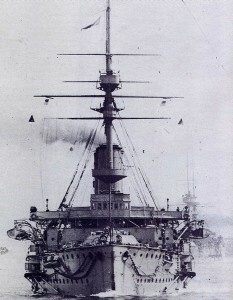 HMS Goliath was a pre-dreadnought battleship built by the Royal Navy in the late 19th century. Having been mothballed prior to the outbreak of the First World War, she was returned to full commission. Goliath was part of the Allied fleet supporting the landing at X and Y Beaches during the landing at Cape Helles on 25 April, sustaining some damage from the gunfire of Ottoman Turkish forts and shore batteries, and supported allied troops ashore. On the night of 12th May, Goliath was anchored in off Cape Helles, along with HMS Cornwallis and a screen of five destroyers. Around 1am the Turkish torpedo boat destroyer Muâvenet-i Millîye eluded the destroyers and closed on the battleships firing two torpedoes which struck Goliath almost simultaneously causing a massive explosion. Goliath began to capsize almost immediately, and was lying on her beam ends when a third torpedo struck. She then rolled over and sank taking 570 of her 700 crew to the bottom, including her commanding officer. Although sighted and fired on after the first torpedo hit, Muâvenet-i Millîye escaped unscathed. Goliath was the fourth Allied pre-dreadnought battleship to be sunk in the Dardanelles. For sinking Goliath, Turkish Captain of Muâvenet-i Millîye, Ahmet Saffet Bey was promoted to rank of Commander (Major) and awarded the Gold Medal. The German consultant, Kapitänleutnant Rudolph Firle was awarded the Gold Medal by the Ottoman sultan and the Iron Cross (1st class) by the German General Staff. 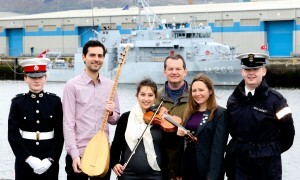 To read how History Hub Ulster remembered those Irishmen lost on HMS Goliath please click here. Research by Karen O’Rawe, Chair History Hub Ulster.